Everything was wrapped perfectly and with clear instructions to get me started on my very first journey to using an electric toothbrush. There were 2 brush heads included to ensure I didn’t have to purchase anything extra for awhile as well. I found that unpacking everything was quite easy and I got the toothbrush charging. That took about an hour for full charge to be reached. A little back story about my adventures in oral care. I am extremely afraid of the dentist and until last year I couldn’t tell you guys when the last time I went to the dentist was. The thing is I am a teeth grinder to the max and one night while pregnant with Willie I woke up to pieces of a molar in my mouth. Yes, gross details huh. I waited over a year to have anything done about it because I was terrified. I hated the idea of even calling the dentist and when they answered the phone I immediately broke down in tears. I was in pain, wanted to be done with the situation but was absolutely scared to death. I was thankful that the actual dentist called me back and lightened the fear a ton by telling me that he offered conscious sedation even for cleanings and he would work with me on the fear and terror that I felt due to a situation I had with a dentist as a child. The first appointment was of course more-less an intake appointment to do paperwork, get insurance information and find out what I actually needed to have done. We discussed my frequent coffee drinking and my near obsession with Dr. Pepper. (Yes I know those are bad) We also at this appointment discussed the use of an electric toothbrush and how much it would improve my overall oral health but at that time I didn’t even know where to begin with finding the proper brush. 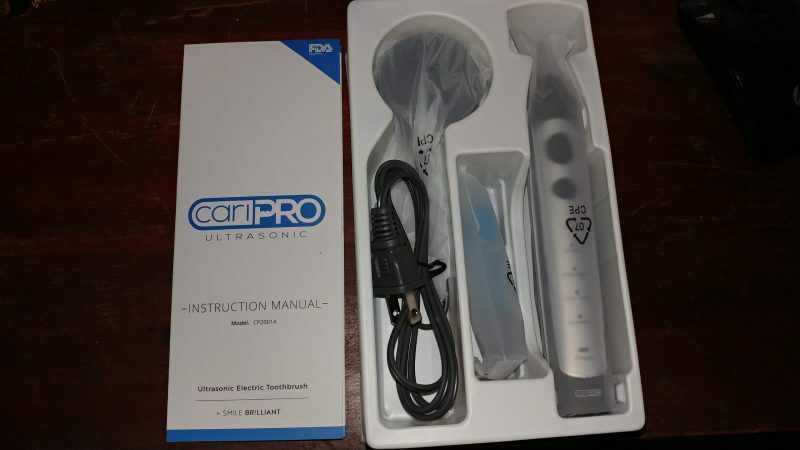 CariPRO Ultrasonic Electric Toothbrush by Smile Brilliant offers just what was needed when it comes to oral care for someone like me. I have a very small mouth (while others may disagree HA!) and after getting used to it I found that my teeth felt amazing. Just like getting a dentist cleaning. So back to my dentist story….. I ended up needing a LOT of dental work that took most of the morning and into the afternoon while I utilized conscious sedation to not have a clue what was going on. I still remember very little about the entire day and into the next honestly. I can now follow up for cleanings without panic but in between I can rest assured knowing that my teeth are getting the best experience possible and being taken care of better than ever. 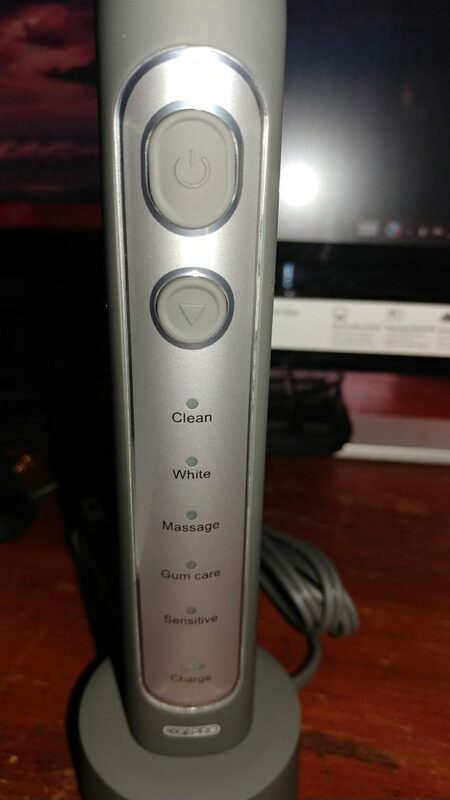 With multiple levels including massage, this electric toothbrush is top of the line and about half the price of some competition. 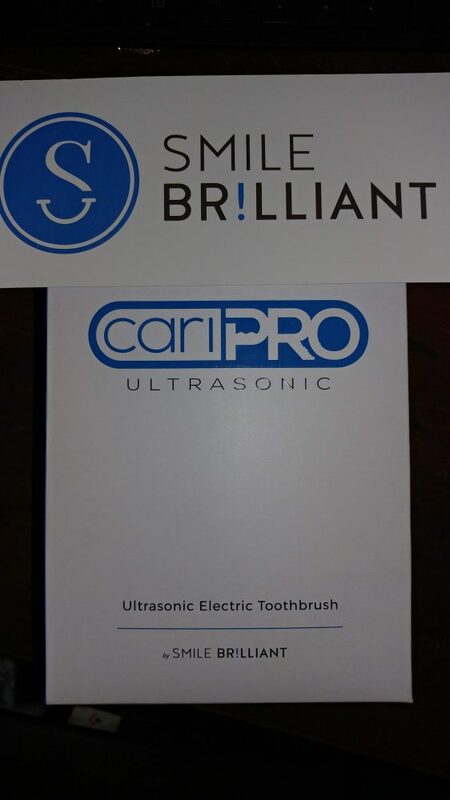 The model we got with the 2 brush heads is $119 and you get a 2 year limited warranty and 60 day trial so you literally have nothing to lose with the CariPRO Electric Toothbrush. Do you guys use an electric toothbrush? I would love to hear all about your experiences in the comments.